This past month we saw the most successful National Travel and Tourism Week to date. On behalf of everyone at Visit Pensacola, I’d like to say thank you to those that participated and helped make it happen. Throughout the week, we had the opportunity to communicate just how viable tourism is to Escambia County and I am excited to continue that message as we move into the summer travel season. That being said, Visit Florida is hosting a regional conversation with President and CEO Ken Lawson on Thursday, June 14, from 11:30 a.m. – 1:30 p.m. at the Embassy Suites Destin / Miramar Beach. I’d like to personally invite you to attend this free luncheon to discuss the new Visit Florida marketing plan and co-op program, as well as dialogue with Ken as we all work to gather industry feedback for upcoming programs and services. For more information and to register, click here. I hope to see you all there. Over the past month, Visit Pensacola has been hard at work releasing a new creative message, the Pensacola Experience. You’ll notice the replacement of the corporate logo from external content with a brighter more fluid concept. Recent research showed that the Pensacola Bay Area can be many different things depending on who you talk with. To best share that, we are now inviting travelers to experience our variety of options. We’ve identified six broad categories to help capture the local experience and create the connections potential visitors seek. With that, we’d like to urge you and your guests to share your unique Pensacola experiences on social by using the hashtag #experiencepcola. Additionally, if anyone inside your organization has a unique story to share, please bring it to our attention. We are always open to blog contribution and different forms of storytelling. To view the full new creative concept, click here. Make plans now to attend FPRA’s 80th Annual Conference this summer, August 5-8, and learn the latest industry trends and best practices, ensuring you’re prepared to handle today’s and tomorrow’s communications challenges. To learn more and to register, click here. Over the past month, Visit Pensacola has been hard at work hosting Media Familiarization Groups (FAMs). Kyler and Mad, a YouTube blogging family, has made and shared a video on our destination for a trip giveaway in partnership with Visit Florida and it has over 200,000 views! To add, we hosted two other groups in conjunction with Visit Florida. We should begin seeing coverage here soon. Other recent news includes full local coverage on National Travel and Tourism Week 2018 and being named Florida’s Most Beautiful Place by Conde Nast Traveler. Additionally, Pensacola has been receiving an ample amount of film requests including HGTV and E! Network’s Total Divas. SkillsUSA State Championships saw the largest attendance in recent years. More than 1,500 students plus chaperones, teachers, parents and exhibitors were in the Pensacola area for the two-day competition generating approximately 1,800 room nights city-wide. SkillsUSA will return to Pensacola in April 2019 and 2020. SkillsUSA will hold its State Directors Planning Meeting in Pensacola in August 2018. 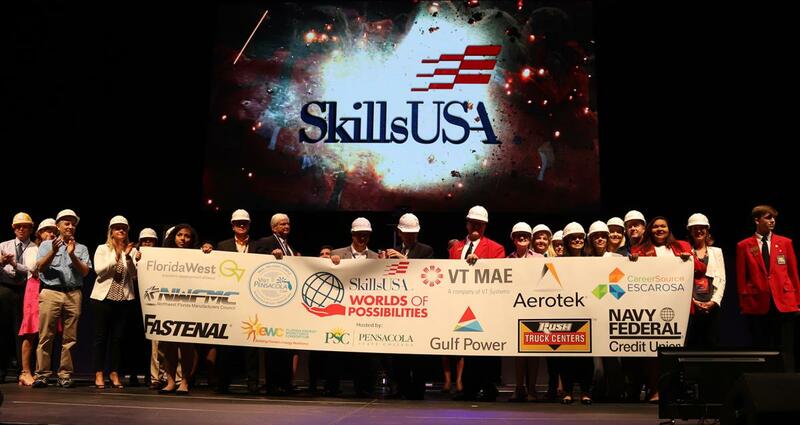 More than 60 representatives of SkillsUSA nationwide are expected to attend the three-day meeting and will have the opportunity to discover Pensacola. The Florida Trust for Historic Preservation Board of Directors has selected Pensacola as host city for their Annual Historic Preservation Conference on May 14-18, 2019. The conference is expected to bring approximately 300 historians and culture preservationists to the Pensacola area. During the next 12 months, the story of Pensacola’s rich history and revitalization efforts will be shared with more than 2,700 of the association’s members via newsletters, conference website, press releases, media alerts and social media, as the Florida Trust for Historic Preservation promotes the Pensacola conference. Date: June 19, 11:30 a.m. – 1 p.m.